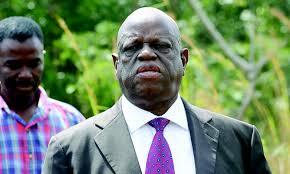 Former Makokoba legislator Tshinga Dube has said he was not going to contest for the seat again saying it was time he passed on the baton. Dube lost to MDC Alliance’s James Sithole in the just-ended July 30 elections, leaving him feeling let down following his huge investment in the constituency. The former War Veterans minister has been unsuccessfully contesting for Makokoba constituency since the 2008 election, but finally got it right in the 2015 by-election, a move which gave him the platform to fulfil his unbridled ambition for the people of Makokoba. However, despite the recent election loss Dube, on Saturday, found time to thank the thousands who cast their vote in his favour. He donated tonnes of rice and mealie meal. He admitted that age was getting the better of him. “The fact that I lost the elections doesn’t mean that we have parted ways. It’s merely that age is catching up with me and I have to pass the baton to others,” he said. Dube, however, said it was unfortunate that the youth have failed to fill the gap left by their leaders in the party. “We don’t have youths, and also that is one reason why you always see the same old folks getting this and that position, contesting this and that city because we do not have the youths,” he said. Dube said he will not cut the philanthropic projects he has been carrying out for the constituency under the Tshinga Dube Foundation. “I will continue with the work that I have been doing like health expos, funeral assistance, assisting orphaned children with fees and other needs among others,”Dube said.